When planning for a room addition, you’ll likely want the best specialist for the job. After all, your hard-earned money will be paying for it. That being said, it is important to understand that unless you are wealthy and money isn’t a concern, you’ll most likely need to plan carefully in order to get the best cost effective solution. Choosing a room addition specialist is as important as the project you are planning. The best ideas come from planning ahead. The same is true for a room addition installation. The very first thing to plan for is the type of room addition you want for your home. Are you trying to add another bedroom? If so, consider the dimensions you would require for the size of that room. The same rule of thumb applies no matter which type of room addition you want. The next step would be to decide where on your house the room addition would be added. Would your new room connect with the hallway or perhaps through another room? It may be that a new room would not be able to connect through your hallway. One must consider these things carefully and plan well in advance. Look to your local room addition contractor for help. Another important thing to consider is your property line. Do you even have enough property around your home for a new room addition? If so, you’ll need to know exactly how much space you have to ensure your new room addition will fit. The reason is that every city and town in America have restrictions on how close you can build anything next to your neighbor’s property. Check with your local room addition company today. Another important thing to consider is how your new room addition will appear from the outside of your home. While most people do think about how their new room will appear on the inside, many neglect to consider what it will look like from outside. Wouldn’t you agree that it is best to choose a room addition that will only compliment your home’s external appearance? Once you have done all the careful planning ahead, it is time to make the best decision when choosing a room addition specialist. This will be based on your own personal instincts, but there are things to look for too. A good room addition specialist will be certified, with many years of experience. They will also offer a price that fits within your budget. Remember, the cost of materials needed and the cost of the room addition specialist will be separate. Depending on the type of room you need, the cost will be lower or higher than the average room addition cost, which can vary. Factors that affect the cost include evenness of the ground outside of your home, type of room addition desired, the size of the room addition, and type of materials used in construction. 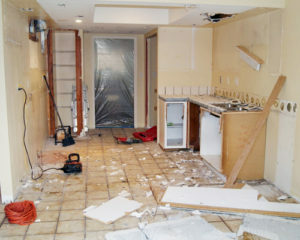 Plan carefully and work with your room addition specialist to figure out the best possible plan for your budget. Choosing a room addition specialist is important. Make the right choice.